Handel’s early, amoral Agrippina, is a tuneful, fast-paced delight. The story of the scheming Empress’s endless machinations to put her worthless son Nerone on the Roman throne is full of memorable arias and the kind of bed-hopping that wouldn’t be out of place in a French farce. Robert Carsen’s carefully thought out, contemporary take (with the odd judicious cut) may lack the madcap antics of Laurence Dale’s recent Brisbane staging, but Thomas Hengelbrock’s vivacious musical direction – the Balthasar Neumann Ensemble snap, crackle and pop with energy – gives the whole thing an irresistible forward momentum. Set in modern-day Rome, but with nods to the Mussolini era, here the women have all the power and the men can’t wait to wriggle out of their togs to get a taste of it. 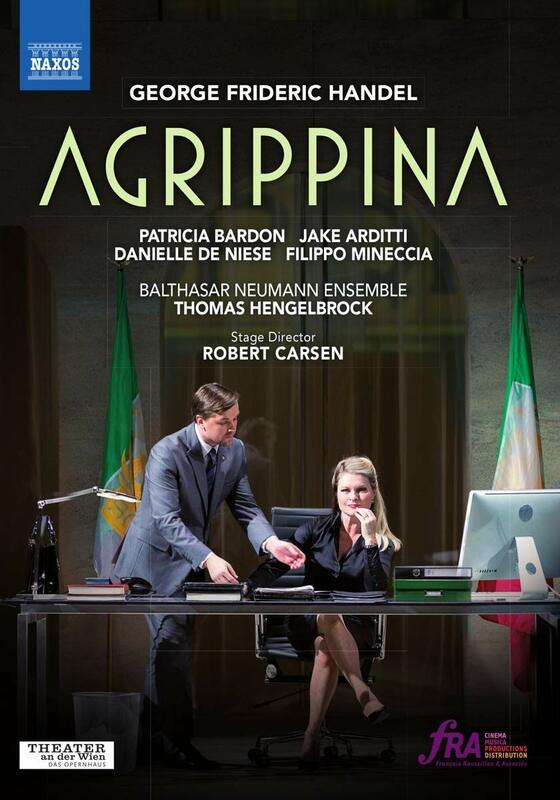 Agrippina’s carbon-copy seductions show how easy it is to hoodwink these pants-down politicians, while Poppea’s duping of Claudio and Nerone feels like child’s play. Patricia Bardon makes a fearsome Agrippina, her ample mezzo larger than we are used to in this repertoire but wielded to fine effect. Danielle de Niese gives Poppea a terrific emotional core, steering a nuanced course from nice to nasty. Both countertenors, Jake Arditti and Filippo Mineccia, are sweet-toned and act well as Nerone and Ottone. Mika Kares’ Claudio is a super voice, but a poor comedian. Fine sound and image. Brilliant revival of a lesser known Handel masterpiece. Tailor-made Handel for French superstar and his superb band. A new opera company run by young artists will have its first ever performance this month. We speak with tenor Spencer Darby about AOC's inception and Handel's Ariodante.